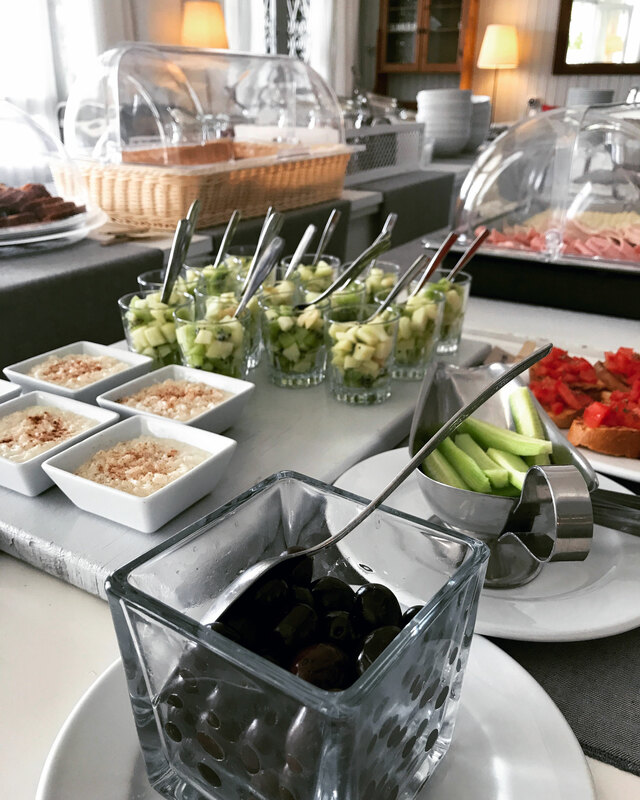 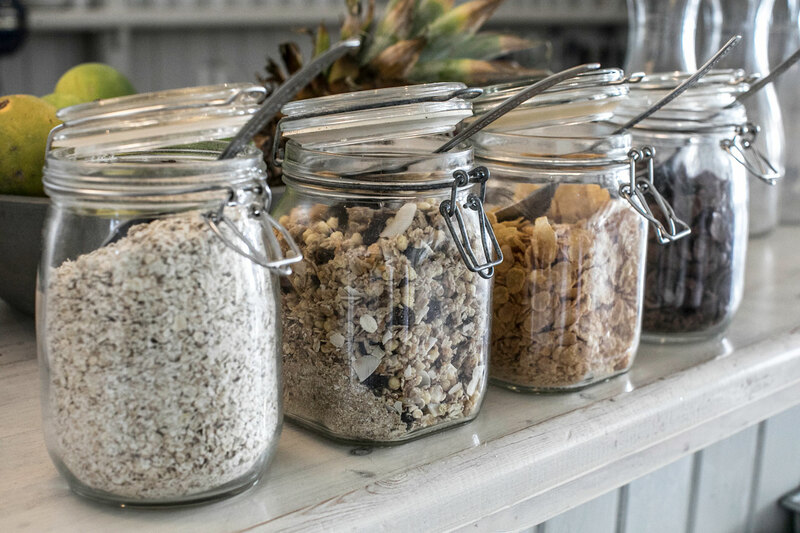 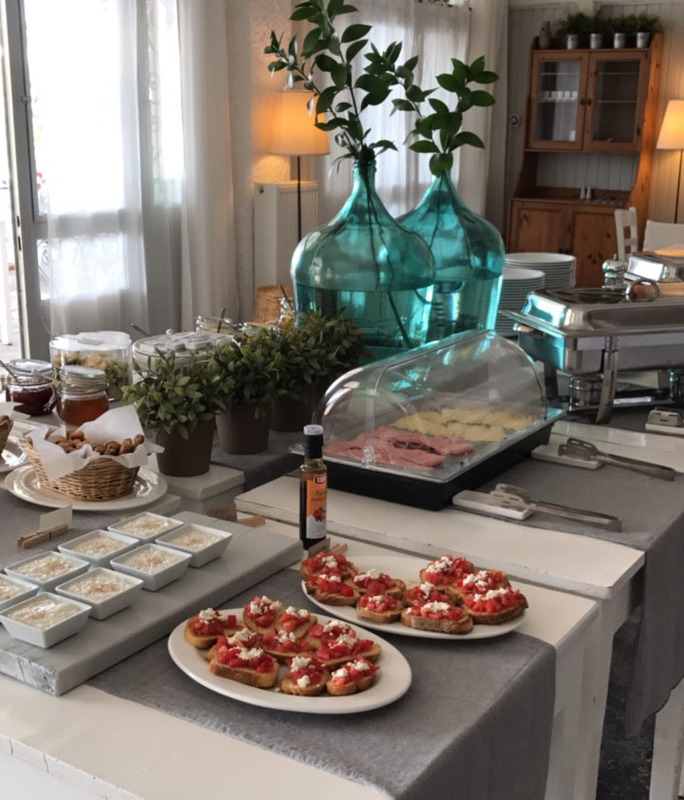 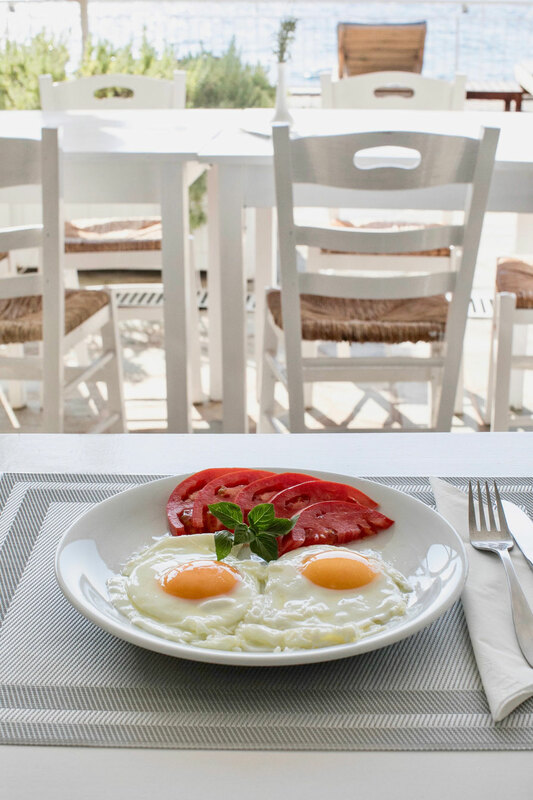 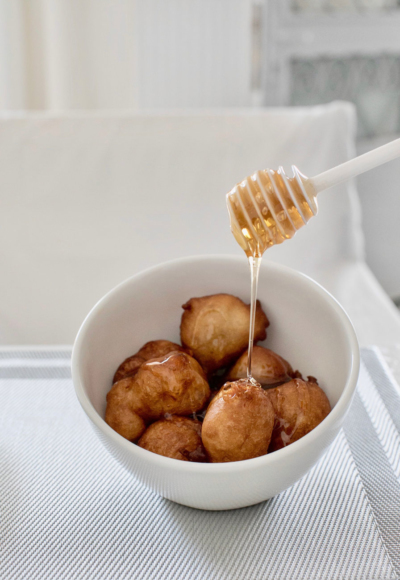 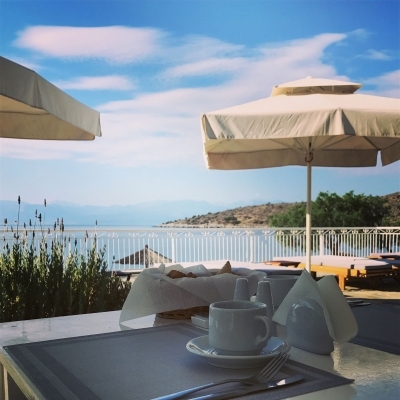 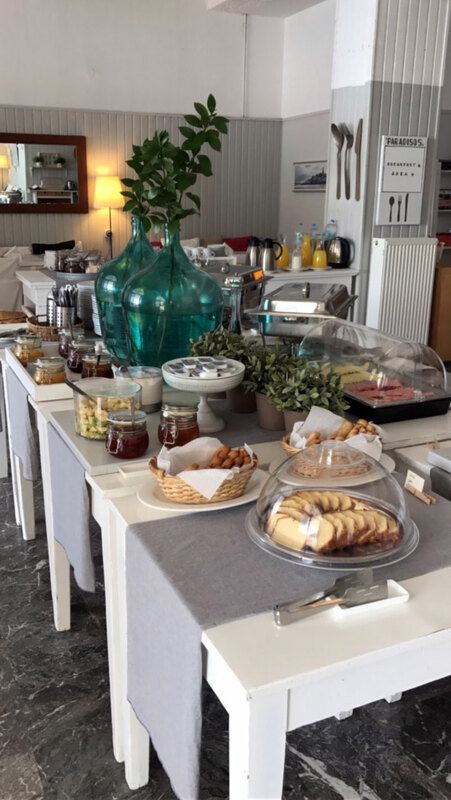 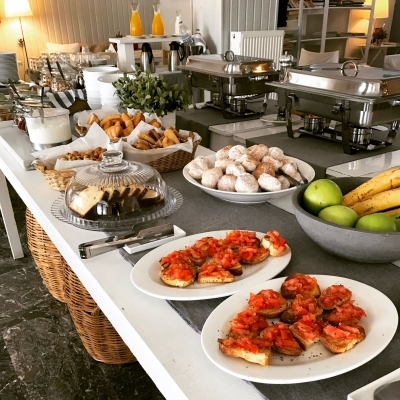 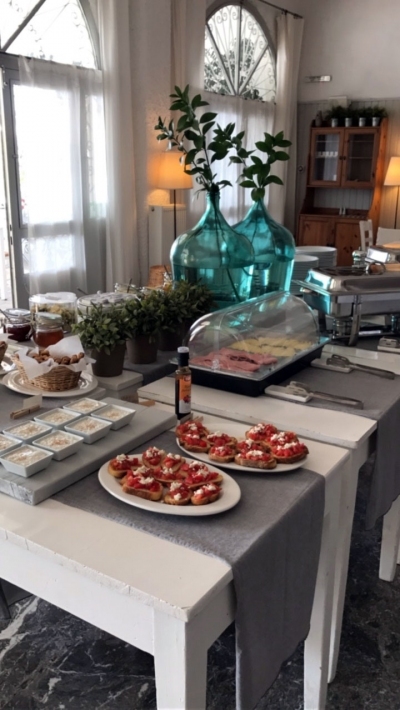 Our breakfast is prepared with the finest ingredients and utmost care, featuring Greek and Mediterranean tastes and with a lot of care for all kinds of client’s preferences. 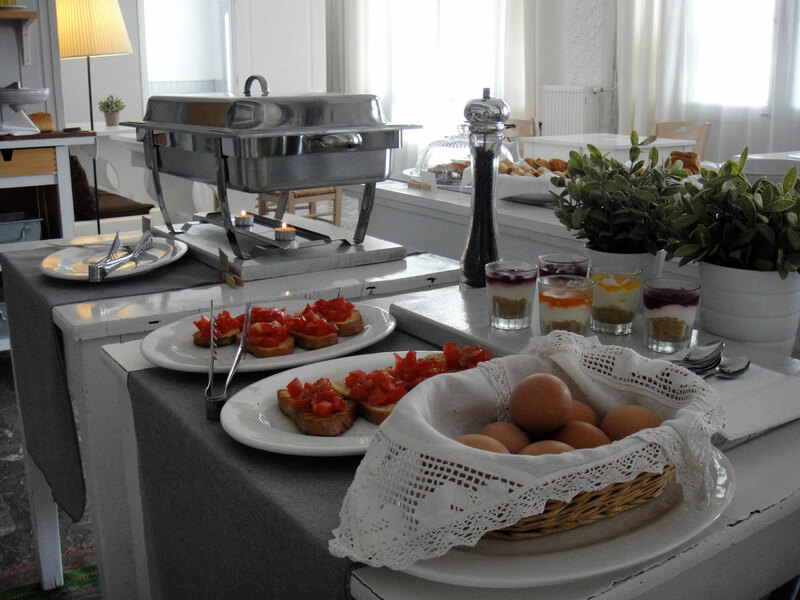 In our buffet you will find biologic and local products. Also there is a variety of homemade products such as jams of apricot, fig, mandarin, lemon and orange. Furthermore from the standard tastes which are included in breakfast (french/Greek coffee, fresh orange juice, low fat milk, tea, corn flakes, oat, muesli, biscuits, tsoureki, yogurt, honey/flower-honey, boiled eggs, cold meat & cheese ) we refresh our menu with special homemade tastes such as rice-milk, sweet or salty pies, cakes, seasonal fruits and scrambled eggs. 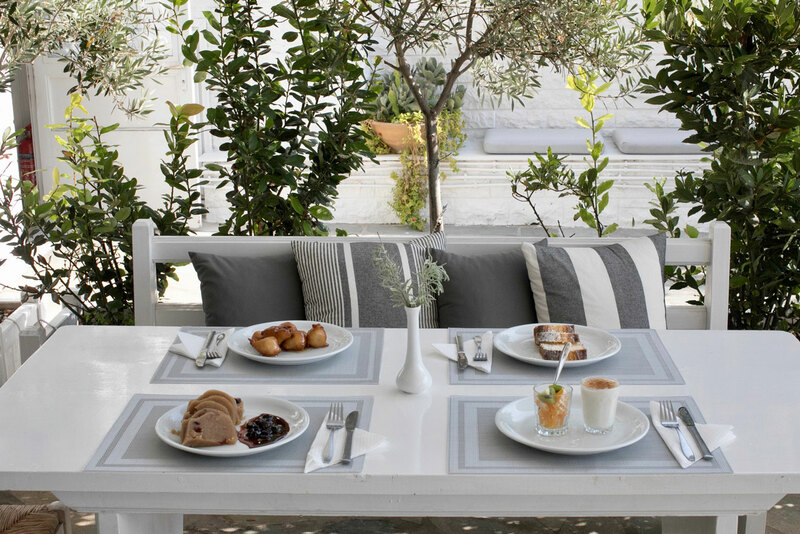 So you can enjoy a meal in Paradise!